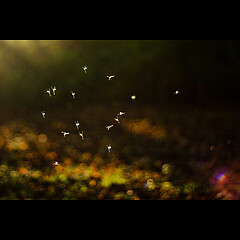 Like a will-o’-the-wisp, Earth Day captures media attention periodically before fading into the background again. Why does this happen? Thomas Hayden has some ideas about why media focus on environmental topics waxes and wanes. He mapped out the coverage of environmental topics in The New York Times and found a gradual upward trend over the decades, punctuated by wild fluctuations. Although journalists’ interest in environmental issues may be growing over time, it is based on short-term events and catastrophes. Do other people forget about environmentalism as often as journalists do? It’s hard to say. But an article on fads and the environment suggests social trends need to build on deeper underlying values in society to succeed. This is an important point. If you want to build a successful environmental trend or meme, you need to speak to what already matters to people – their existing cultures and priorities. Should environmentalists try to catch people’s attention with a series of trends and hot topics? Maybe that is not enough. Like dieting, environmental change has to be more than a fad to succeed. If environmentalists want to achieve long-term, successful social change, that will require making structural changes to our everyday lifestyles so positive choices will lead to rewards. These rewards do not all have to be financial; they can be social. They can even involve saving time or simplifying our lives. Maybe environmentalists need to augment those will-o’-the-wisps of media coverage with solid structural changes behind the scenes. Dr. Laura Akers, who works at Oregon Research Institute, has spent years studying what motivates social change movements. She studies both the positive motivations behind activism and the dangerous edges of movements that pose risks to the public. If we want people to act consistently with their beliefs about the world, we’ll be more effective if we stop talking about what we might lose. Instead, let’s make a point to stress all that we have to gain. Whenever lifestyle choices are involved, we need to make it possible that “building” and “creating” and “growing” – positively framed activities – can be the ones that will address the problem. People want to build, create, and grow. We can build a more energy-efficient economy. We can create better technologies… In other words, let’s talk about global warming as a creative challenge, not a looming crisis. Research posted on the Climate Access website shows talking about climate change in terms of public health can accomplish this goal. A webinar Climate Access hosted on Jan. 22 underscored Akers’ recommendations. “I always encourage people to communicate [about climate change] in combination with solutions – mitigation – what we can do on the front end – and adaptation,” said Dr. Suzanne Moser, one of the presenters. Moser is working with a team of hundreds of experts to create the United States’ National Climate Assessment. The team is following best practices in communicating its results, which she says can be overwhelming for audiences otherwise. How Solid Is Your Understanding of Coal? 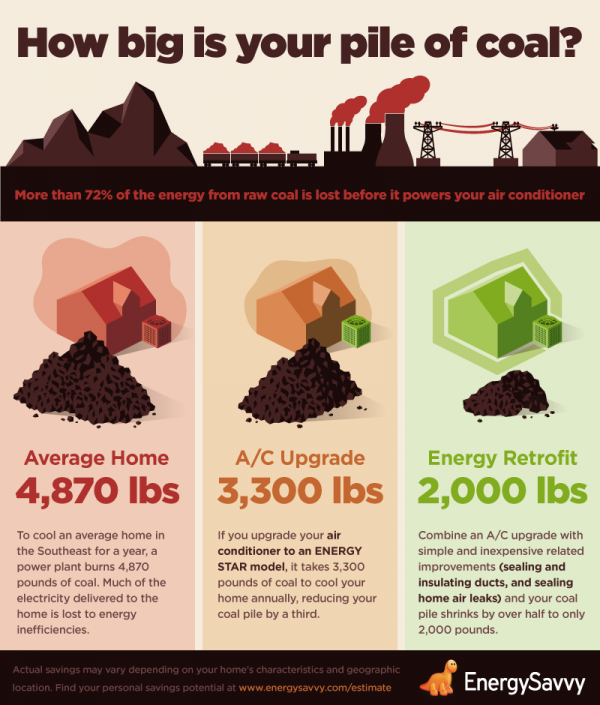 Reducing the original coal pile to 2,000 pounds prevents nearly 6,300 pounds of carbon dioxide, 36 pounds of sulfur dioxide and 16 pounds of nitrogen oxide from being emitted into the atmosphere annually (Environmental Protection Agency). It could also save the home around $300 on their electricity bills each year. The problem with these numbers is that they do not translate directly to impacts people can understand. If I tell the average person that his new air conditioner will prevent a certain number of pounds of sulfur dioxide from being emitted into the atmosphere, what will he be able to do with that information? Not very much. What is missing from this infographic is context that readers can use to relate these numbers and impacts to their everyday lives. What does that 36 pounds of sulfur dioxide do to the environment? Adding an illustration to show the scale of each environmental impact would make this infographic much stronger. Without context, numbers mean much less than they would otherwise. I’m starting to believe apocalyptic predictions are becoming a journalistic cliché. Just this last week, an anticlimactic end of the world generated a considerable amount of tourism in Central America. And this isn’t the first time people have expected the world to end recently. The Rapture was scheduled to occur last year. The year 2000 was also supposed to bring mass disruption to society. Apocalyptic predictions are also becoming commonplace in environmental news, a genre I read and write regularly. Because I wrote a graduate thesis on media framing, I have strong opinions about the uselessness of this story line. Thinking about apocalypses paralyzes audiences. It also creates fear and removes personal responsibility. The end of the world is, by definition, beyond our control. In contrast, global warming is a situation where we can limit the damage. Here’s a simple analogy to describe global warming’s effect on how we think. I could pretend nothing was wrong. This is the way most Americans I know respond to global warming today. They make very few lifestyle changes. Most of my friends and relatives are not passionate environmentalists. 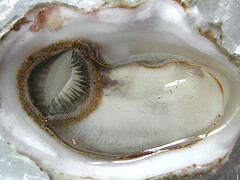 Inaction is a very common response to large-scale environmental problems. I could panic. This is the “deer in the headlights” response to global warming which I see very often among concerned environmentalists. Apocalyptic framing in the news feeds directly into this situation. Some people who panic become hyper-focused on self-preservation. Others freeze, do nothing, worry, and never take proactive actions. And some take practical actions that are rational, but do so with a huge burden of fear and guilt. I could choose to minimize the damage. That is what I did; I intentionally flipped the sled over before it went completely out of control. I was embarrassed, but I wasn’t injured. This attitude is the most practical way to respond to global warming today, I think. We need to recognize we’re going out of control, be realistic, take action, risk embarrassment, make mistakes, and salvage the situation as best we can. In the United States, there is a bias within journalism against recommending actions or solutions. There is also a bias against communicating the recommendations of advocacy organizations. I think that in a situation as dire as the one we face with global warming, it’s reasonable to call these judgments biases. There is nothing objective about failing to recommend action in the face of an emergency. 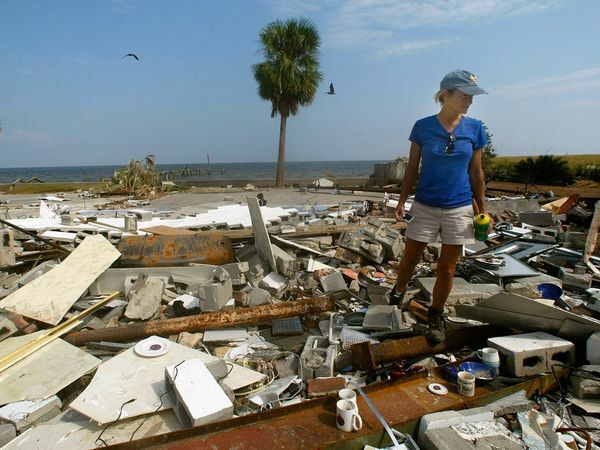 The Centers for Disease Control and Prevention recommend hurricane preparedness; why aren’t more reporters recommending reducing the impact of global warming? Negative news attracts more pageviews. In the old school lingo – “If it bleeds, it leads.” Stories with positive angles lack shock value. If pageviews are a cynical writer’s only goal, then yes, apocalyptic framing works until audiences burn out. Some audiences may already tune out environmental news because of its negativity. Some environmentalists deliberately frame these stories as apocalyptic to raise awareness or communicate urgency. Reporters then pick up on this culturally powerful framing and transmit it to readers. Based on the popularity of apocalypses today, it’s understandable that this framing is common. But it is also disempowering, discouraging and fear-generating. What’s the solution? Well, I plan to be a good example for other writers and take the “end of the world” frame out of my media vocabulary. I want to leave readers empowered with common sense information, not paralyzed with anxiety about the future. And from now on, any time that someone suggests to me that an apocalypse is coming, I will be deeply skeptical. I suggest you do the same. Climate scientists care about accuracy. In the storm of misinformation which circulated during and after Hurricane Sandy, their conclusions have been oversimplified and swept away. One scientist, Gerald North, estimated 80 to 90 percent of this hurricane was due to natural causes. Climate change is gradually making flooding worse. This can amplify the effects of any hurricane. The NOAA is still gathering data, but suggests warming seas may both intensify hurricanes and lower their frequency. One reason the devastation in Haiti has been so serious is that Haiti residents lacked safe housing and infrastructure. If we invest in improving our infrastructure and housing here, that can reduce the damage of the floods from future hurricanes. However, the hurricane seems to have blown common sense out of the window. Of course, when there’s a natural disaster, one can expect people to respond irrationally. The meme which has emerged is very simple and doesn’t require bullet points. Global warming caused Hurricane Sandy. An example of inaccurate nonprofit messaging after Hurricane Sandy. What’s wrong with this picture? First, it confuses the issue. Increased flooding does not equal increased storms. 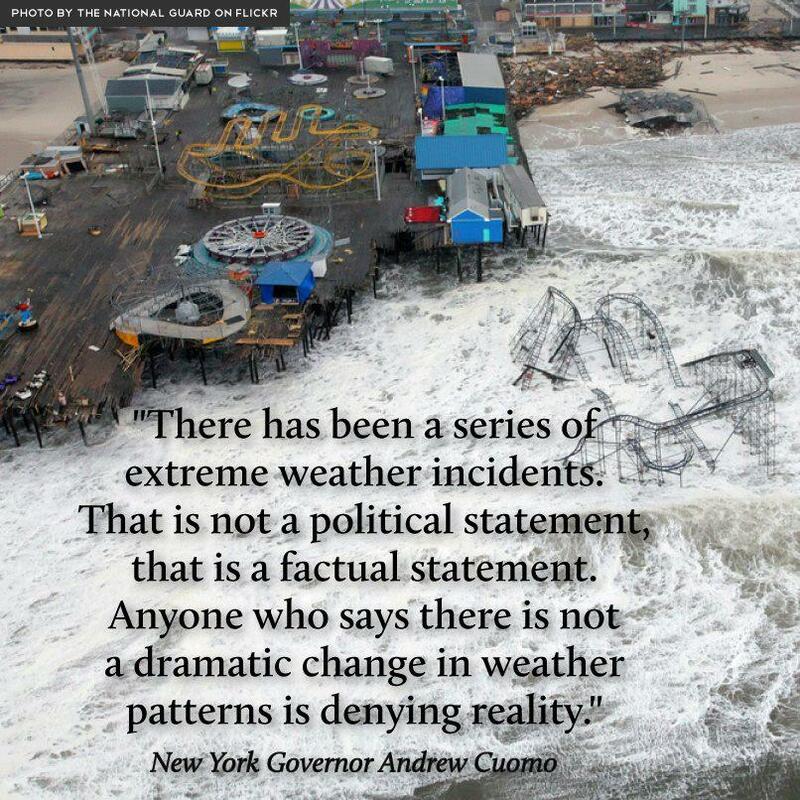 Second, Cuomo is not a climate scientist and this quote is not based on research. Not all of the nonprofits on my list used this meme, though. Union of Concerned Scientists published a thoughtful Q&A which presented the situation in a very different light. If nonprofits want to be recognized as credible sources by the press, they should make sure they don’t let this meme sweep their messaging away. Does climate change cause flooding? Definitely. Did it cause this hurricane? Not likely. Does it make hurricanes worse? Possibly. Can we strengthen our infrastructure and adapt to reduce the damage future hurricanes cause? Yes. Regardless of the cause of this storm, we should do that as soon as possible. Should we take action to limit the effects of climate change? Of course. And environmental nonprofits can help to lead the way. This post is a response to a question I received from Climate Access. How does one put a human face on images of global warming? 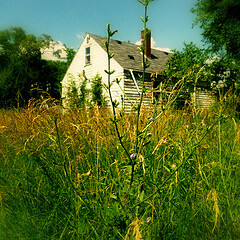 Local images engage audiences. In recent years, lack of locally relevant images and stories has damaged media sources’ ability to communicate about global warming. Now that we are beginning to see global warming is damaging infrastructure, flooding island communities, and displacing people, it is becoming easier to find images that capture global warming’s effects. 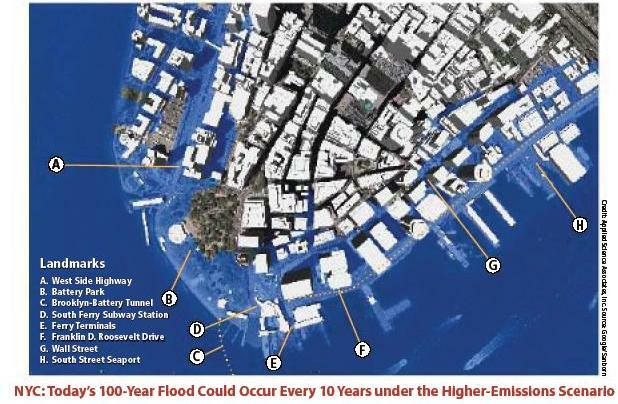 This map of projected New York City flooding is from Union of Concerned Scientists and was republished by Gothamist. Showing a map like this to New Yorkers on a downtown street – and videotaping their reactions – could create a strong wake-up call for urban residents. Beach vacation spots are also at risk. Given that flooding maps project that the entire southern tip of Florida will be affected by sea level rise, an image of tourists on a beach like the one below could appeal to people who value their vacation destinations. 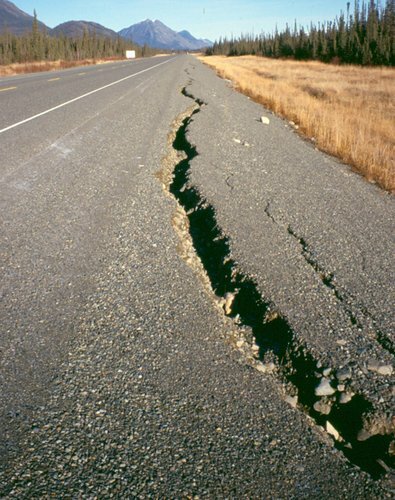 In Alaska, roads are beginning to crack for a variety of reasons. One cause of the damage is global warming, which is shifting the permafrost underneath the highways. The image below, from the New York Times’ Science section, shows a road in the Yukon which is starting to break. A video of a driver attempting to traverse a broken road would put a human face on global warming in the far north. In Texas and other states, hurricanes may increase in strength due to global warming. The predictions vary. Once more information is available, it may be true that images like the one below capture one facet of global warming. The photo below was taken in Seabrook, Texas and appeared in National Geographic. The woman in the photo returned to her home to find it flattened. With global warming, it’s hard to pinpoint some cause-and-effect relationships. Although sea level rise is well known, other issues, such as migrating fish populations and erratic weather, are more difficult to attribute to global warming directly. Multiple causes may be at work. As we learn more about the results of global warming, science communicators will know which images to use with confidence and which to set aside. For months, I’ve been reading posts from environmental news sources saying that belief in the existence of climate change has become a “culture war.” Framing the issue this way is destructive because it draws a line in the sand, further polarizing an already divided community. Notice that I said “a community.” Regardless of political spin, the United States is *one* community. Our country is a composite community of many parts, some of which disagree with each other. Isn’t internal disagreement typical in any neighborhood, let alone a nation? If one spends a lot of one’s time on the Internet – as news reporters often do – it’s tempting to generalize the polarization one sees online to the rest of the world. But people do not communicate the same way offline as they do online. Online, discussions become polarized quickly and easily. If I want to resolve a disagreement, I usually take it off the Internet as soon as possible. I hesitate to frame *any* ideological disagreement as a “culture war.” Calling a heated discussion a “war” is a self-fulfilling prophecy. It tends to escalate the debate rather than reducing tension. And it makes it almost impossible to build bridges. If David Roberts, Andrew Hoffman and other writers are genuinely interested in resolving the climate change debate and not escalating it, they should skip the military metaphors and start calling the conversation what it is: a controversy. Yes, it’s a culturally loaded controversy. But that is all it is. It’s not a war. There are more than enough climate scientists receiving violent hate mail as it is. We need to use de-escalating language. Find common ground. What values do you share with the people who oppose you? What can you agree on – at least, provisionally? Set ground rules about civility and basic respect. Don’t make assumptions about the people who disagree with you. This is especially true if you have not talked with them and don’t really understand their perspectives. Take difficult conversations off the Internet. If you aren’t able to do so, moderate online conversations assertively and reduce anonymity. Research has shown repeatedly that online communication is polarizing. Find ways of getting people out of the “us vs. them” mindset. There are organizations such as Public Conversations Project which specialize in doing this. Stop seeing the political spectrum as a one-dimensional line between conservative and liberal. The best websites I have seen about political affiliation all agree that there are multiple dimensions to political preference. The Political Compass is a two-dimensional example. There are other models which are more complex. Get to know people who are different from you in person and preferably offline. Go out in the community and talk to someone who isn’t dressed the same way as you are. With that said, I find it completely understandable that Americans confronted with the need to dramatically scale back their lifestyles in response to an environmental threat would retreat into arguments that aren’t logical, oppose change, and dig in their heels. We live in a country where wealth, productivity and consumption are highly valued by many people. Expecting our entire national community to suddenly put its values and materially based self-image on hold, even in response to a dire environmental need, would be extremely naive. The environmental movement needs to offer hope, collaborate, and build constructive solutions in the face of intense fear, global risk, and polarized debate. Let’s stop talking about “culture wars” and start talking about solutions. We need new hope, better ideals, and a value system that doesn’t depend on what kind of car we own. There are many intersections between dance, health and the environment. Dance can raise awareness of environmental disasters. This article from the Yale Forum on Climate Change and the Media links to a video of dancers from the Pacific islands of Kiribati, Tuvalu and Tokelau performing “Water Is Rising.” This performance toured the United States and made a stop in Boston at the Museum of Science. These three islands are at the epicenter of climate change since they are only a few feet above sea level. Situated on coral formations, they will be the first inhabited islands to be submerged by climate change’s rising seas. The tour shows the rich cultural legacy of these islands. Global Water Dances took place worldwide last June to raise awareness of threats to freshwater supplies – including mountaintop removal and hydraulic fracking. The second set of dance performances is scheduled for 2013. Boston’s Global Water Dance was held near the Charles River in Cambridge. No post on the Global Water Dances would be complete without video. These dances are from the Netherlands, Germany and Israel. Does environmental protection reduce the well-being of low-income people? A new discussion paper from Oxfam says it’s possible to improve the health and income of people living in poverty worldwide while still making environmentally sustainable choices. However, individual environmental policies may or may not help social well-being. 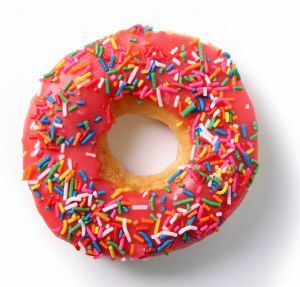 A colorful doughnut. Source: stock.xchng. Diagrams in the report show how close we are to living within this zone of sustainability today. Raworth recommends reducing food losses, improving transportation efficiency, insulating homes, and expanding women’s reproductive rights. According to Raworth, environmental policies can be socially sustainable because the resources needed to improve the health and income of the poor, globally speaking, are much less than the resources used by the wealthy. The massive environmental impacts we face today are directly related to global disparities in wealth. Advocating a reduced standard of living for the upper and middle classes is unlikely to win many allies in the United States. The Oxfam discussion paper has received no press coverage in the United States, according to Google News. I found the link to the paper on George Monbiot’s blog at The Guardian. It’s reassuring to hear this “yes, we can” message amid the cries of concern over global warming.